“A man sent from heaven blessed by the Best,” was honored during the 25th Annual Peace Parade held Saturday, Jan. 26, in Daleville. People of all ages participated in the three-mile walk that began near the Fort Rucker gate and ended at the Daleville Christian Fellowship Worship Center. “We are here to honor a man who fought for economic and social justice,” said Master of Ceremonies Robert Bender at the program held in memory of the late Dr. Martin Luther King Jr. at the Daleville Christian Fellowship Worship Center following the parade. “We are here because of his struggles but I assure you the struggle is not over,” Bender said. The Daleville Christian Fellowship Worship Center Mass Choir, the Chapter 7 singers from Elba and a solo/liturgical dance by Jessica Smith and Sharon McDole were among the performances during the program. Elder Cedric Smith delivered the invocation, Deaconess Carolyn Logan delivered the welcome, Zakiyyah McKinney explained the purpose of the event, Jakerion Ware did an inspirational reading and Archbishop Carl McComb gave the closing remarks and benediction. Retired NASA executive James Jennings was keynote speaker at the program. “Look where he brought us from: From darkness to light,” was the theme of the program honoring the legacy of the slain civil rights leader. 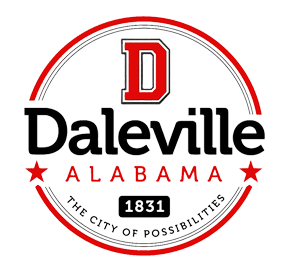 “The theme this year is ‘Just look where he brought us from,’” Daleville Mayor Jayme Stayton told those attending the program at the church on Martin Luther King Circle. “That means not just Dr. King, but the Lord. Tolerance and social justice begin with each individual, Stayton stressed. “But we can continue to teach and help the future generations to understand where this country was and we are at today,” Stayton said. “It is okay to turn your head and look back to the past in order to know what not to do again but never turn around and walk toward the past, always move forward. “If we can do that then Dr. King’s legacy will never be ‘in the dark.’ It will always be ‘in the light,’” Stayton said. “Right now his legacy is shining with us but if we don’t pass it on, it may dim.